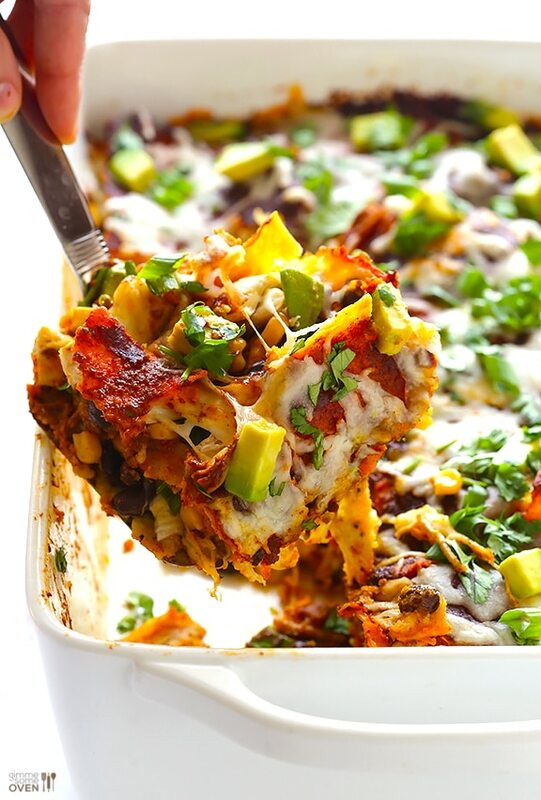 Enjoy the flavors of Mexico and the Southwest in this savory chicken enchilada casserole recipe. A layered and baked Mexican-inspired casserole that is made with corn tortillas and all the traditional flavors of Mexico. Chicken Enchilada Casserole makes a perfect everyday meal to serve to family and friends. 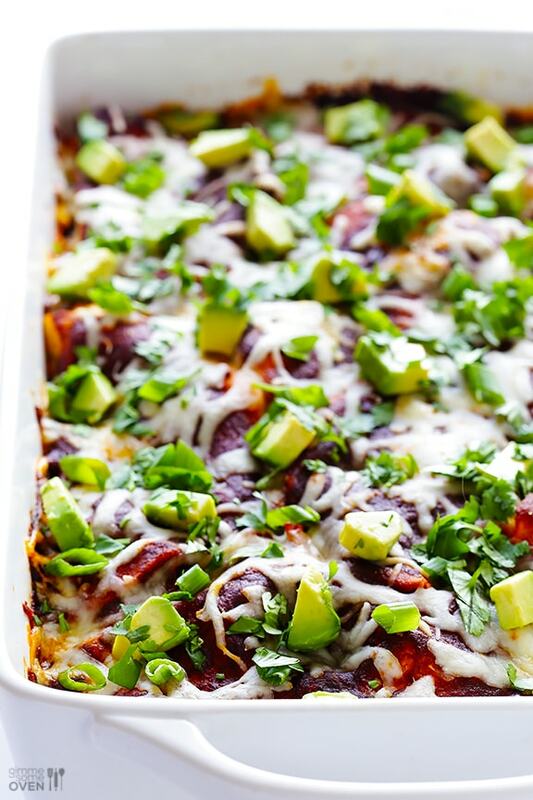 A 7-ingredient stacked chicken enchilada casserole layered with corn, green onions, black beans, chicken, cheese, corn tortillas and enchilada sauce. In this recipe, corn tortillas are placed on top of red enchilada sauce. Black beans, corn and green onions layer on top of corn tortillas. Then, chicken and cheese are evenly spread over the top and the casserole can be placed in the oven. 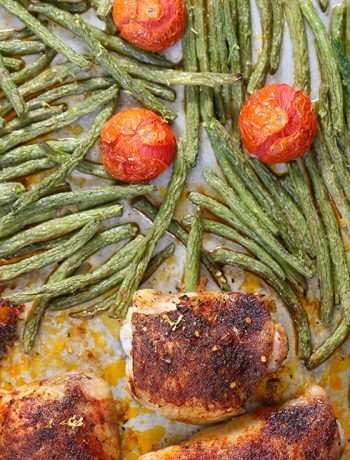 This is such a fun comfort food dish to make. This hearty stacked casserole is easier to make than enchiladas since the tortillas won’t need to be rolled. Have dinner made and on the table in under an hour. This delicious homemade enchilada casserole is easy to make and the whole family will savor each bite of this traditional Mexican recipe dish. Where is the recipe? 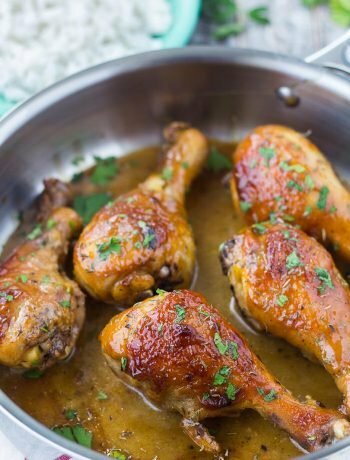 This looks delish, but WHERE is the entire recipe?